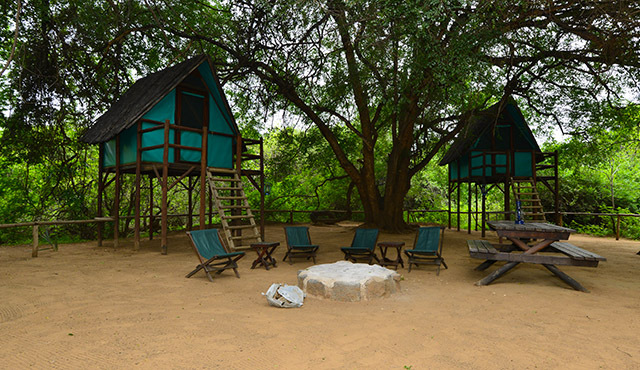 Pafuri River Camp - a rustic camp that offers so much to the visitor! 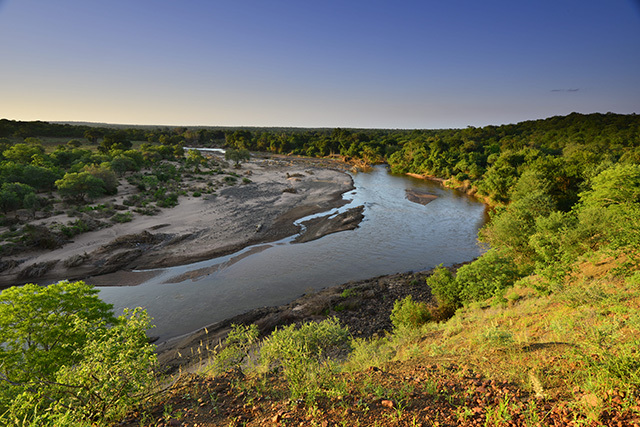 Pafuri River Camp is a wonderful rustic camp situated on the banks of the Mutale River in the beautiful northern part of the South Africa, bordering the Kruger National Park. 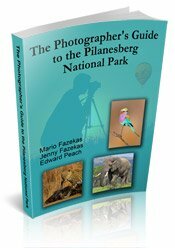 The camp is only 4 km from the Kruger Park’s Pafuri Gate and it is just 30 kms from the Makuya Nature Reserve, which also offers the Big 5 animals. We spent 3 wonderful nights in this magical place. On arrival we were pleasantly surprised at how beautiful and peaceful it was. The area is surrounded by large trees that form a canopy and gives the feeling of being in a forest. 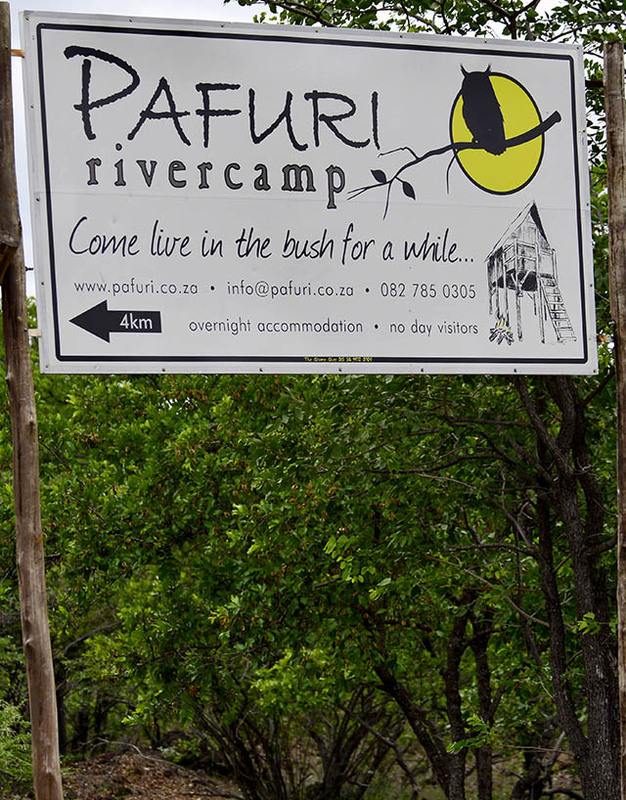 Pafuri River Camp is situated amongst the trees on the bend of the Mutale River. 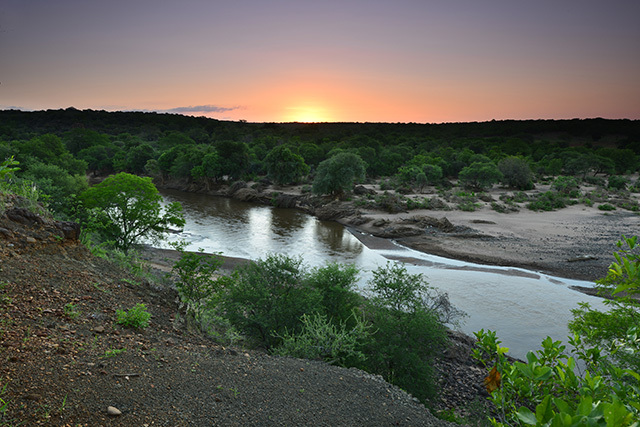 The image below was taken from sunset hill and our camp was just a few meters from the edge of the river, looking out onto the sand-bank. Ally and Martin, the management team, greeted us on arrival and they showed us around. 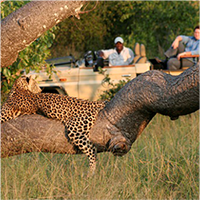 From the reception you walk into the central lapa or boma area where delicious bush-camp meals are served. 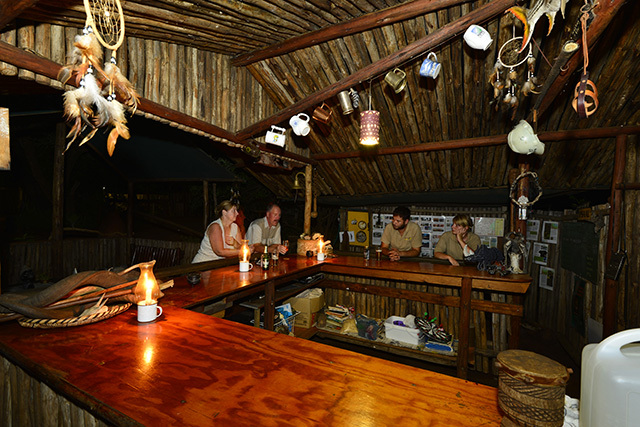 Adjacent to the boma there is a small lounge that offers bird books, tea and coffee station, a quant Bush Bar and a covered swimming pool. We enjoyed our pre dinner drinks at this cosy bar each night before dinner. From the main area, you drive or walk down to your camp depending where you will be staying. 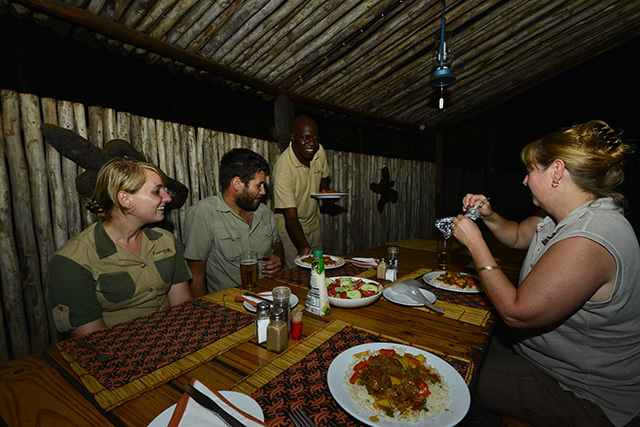 You have an option to do self-catering or to have a cooked dinner in the boma. We took all our meals in the boma and they were well prepared in the main kitchen by Robert the Chef. We thoroughly enjoyed the meals! 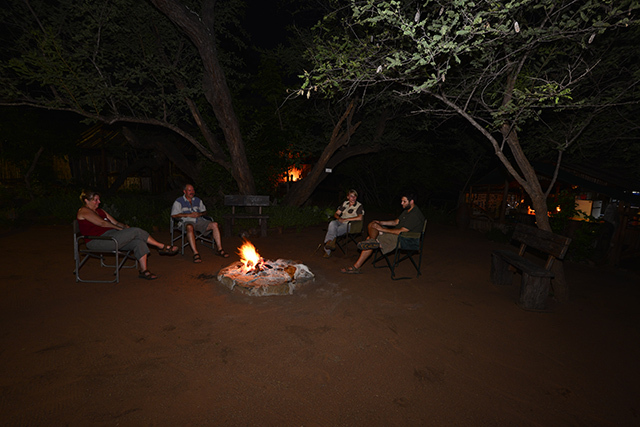 After dinner you can sit round the boma fire or retreat to the privacy of your own camp - the whole atmosphere is very relaxed. 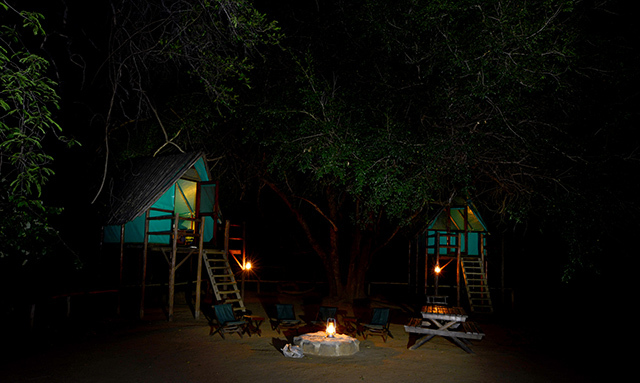 The camp does not have electricity, but is lit by paraffin lamps which give off soft lighting for a true African ‘years-of-old’ feeling. 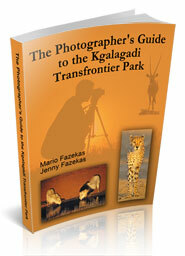 Each camp has an open fire area for braaing, a fully equipped kitchen with gas stove and gas powered fridges. The toilet and shower are on either end of the kitchen. Linen and towels are supplied. Each camp site is unique and we stayed in Nyala tree-house camp, which had only two tents on stilts that makes you feel like you are in the tree tops. 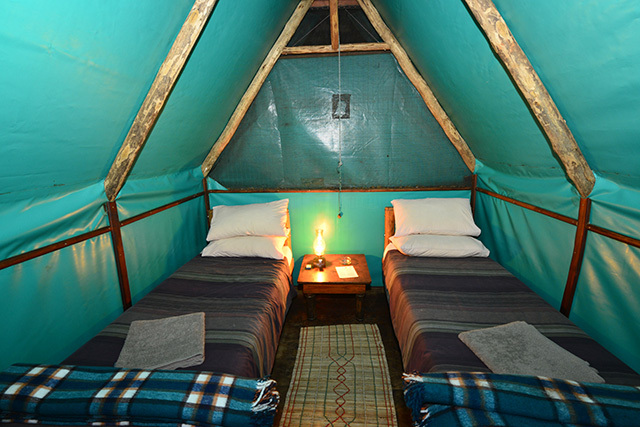 Each tent has two single beds and side table, kitchen toilet and shower, with braaing area. 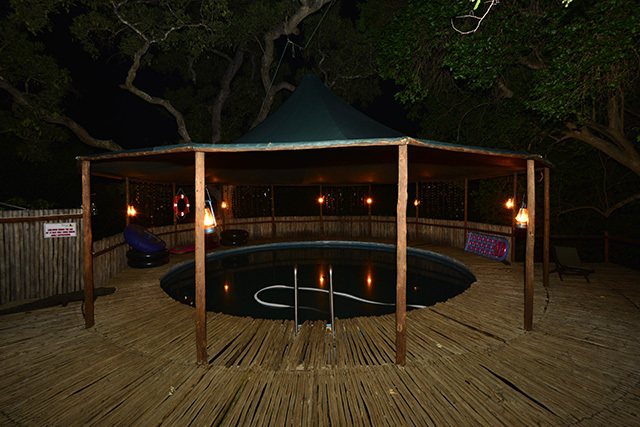 Sausage tree and Leadwood camps have a single tree house each with two single beds, while Nyala camp has two tree houses with four beds, Poison-pod camp has three tree houses with six beds and Raintree camp has four tree houses with 8 beds. 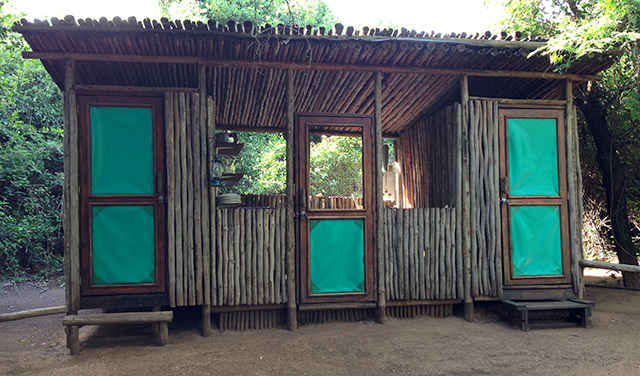 Nightjar is the only sisal-pole cabin and has a double bed, en-suite toilet and shower with private kitchen and braai area. (It was slightly damaged in the recent floods, but will be ready soon). Then there is the large secluded camping site with communal ablution and hot running water and large baobabs to give shade from the hot summer sun. 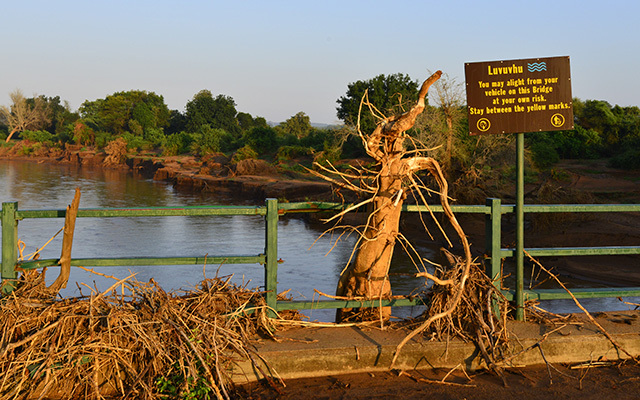 Bird watching is a big part of this magical area; so keep a look out for the Pel’s Fishing Owl, the African Finfoot and many other species or keep your eyes peeled for the Bush Babies that come to visit the camp fire at night. 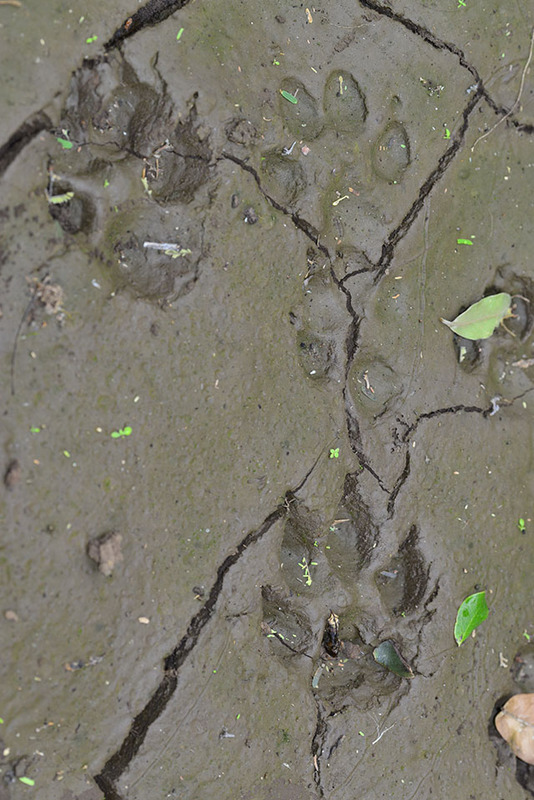 We had a Hyena calling in the early hours one morning then found the spoor on a walk round the camp area. 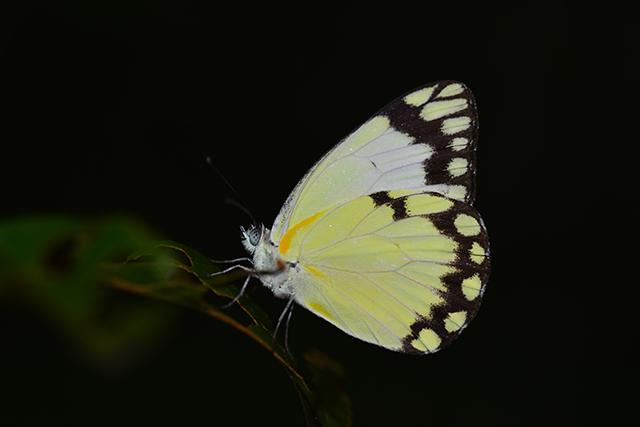 While talking a walk around the camp we found many little critters to photograph. Macros will be no problem during the summer months with the many butterflies, beetles, armoured ground crickets, scorpions and snakes. It is safe to walk round camp, but remember that this camp is next to a Big Five Reserve so animals do pop in from time to time! 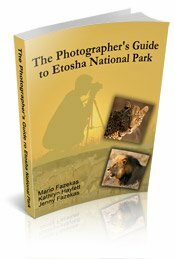 There are two lovely view-points where you can get some nice landscape photos from - one is called sunrise hill (that looks into the Kruger Park) and the other is sunset hill which over-looks the Mutale River, which feeds into the Luvuvhu River further downstream. If you are not into photography then there is always the pool area to relax at or you could go for a walk along the river. Tiger-fishing is another great activity or you could explore the surrounding areas and go for a drive into the Kruger Park or Makuya Park. 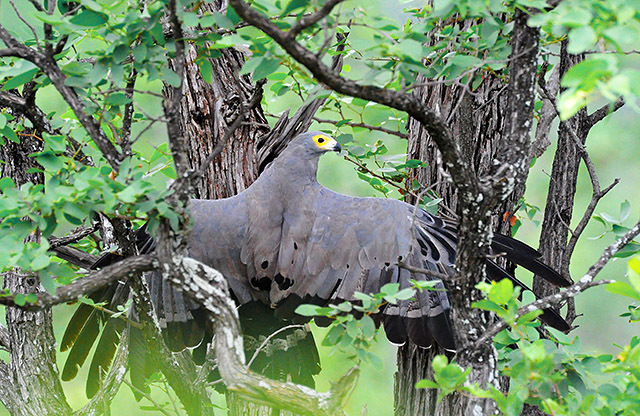 We did both and got a great photograph of a gymnogene (African Harrier Hawk) hanging on a tree at the Pafuri Gate. It eventually got a squirrel out of a hole for dinner. The drive to Makuya Park was also a good choice; Martin took us up to World's View and wow - you have a 180 degree view over the Luvuvhu River looking into the Kruger National Park! Baobabs as far as the eye can see!